The following is a series of excerpts from a larger essay connecting Dario Fo, the chaos of post-war Italy and the tragic sequence of events which inspired Accidental Death of an Anarchist. To read the full article we encourage you to purchase the Accidental Death of an Anarachist program. It is both testament to Dario Fo’s brilliant comedic writing and sad indictment of the ongoing systemic corruption of truth that a play so intimately connected to the political climate in which it was born has been as widely reproduced, adapted and enjoyed throughout the world. For Accidental Death of an Anarchist was not merely inspired by, but a direct and immediate response to the incredible and horrific events which unfolded in Italy in the late sixties and early seventies, and can even claim to have influenced them. 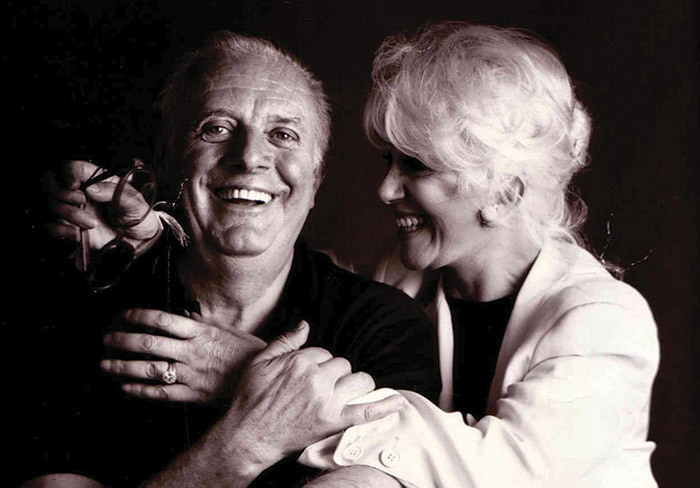 Actively engaged in lampooning and thereby fighting the institutional corruption, deceit and brutality of the time, Dario Fo and his wife Franca Rame’s uncompromising political works were instantly influential – and did not go unnoticed by the far-right; their ideological defiance would have serious consequences in later years. The years following the defeat of Nazism and collapse of Mussolini’s fascist government were prosperous in Italy, known later as ‘the economic miracle’. Despite this prosperity, the country was deeply divided as to how to move forward. Following the election of a constituent assembly in 1946, the right wing Christian Democratic Party took power, whilst the main opposing party was the Italian Communist Party, signifying the extremity of political division in the country. With each side using covert forces in an attempt to topple the other, it was a period of secrecy and unparalleled scandal which is impossible to chart conclusively. Historians describe an ‘Italy of mysteries’, whose course was determined by ‘faceless societies’ and ‘unaccountable forces’ acting as an ‘alternative state’. In addition to local movements, it is estimated that over one hundred million dollars reached Italy from America in support of the anti-communist cause, the money not only sent to the Christian Democratic Party but also directly to the Italian Secret Services, who still had close ties to neo-fascism within their ranks. The Italian police and army had never been properly purged after the Fascist period, so there were many in the security forces willing to bend the rules and use brutality in pursuit of power. A ‘strategy of tension’ was established, using indiscriminate killing to create a climate of fear and panic, with the intention that this would lead to popular outcry for more repressive measures from the government and military. Extremism on both sides – the left preaching revolution, the right working to bring about a coup d’etat – created a double threat of violence and terror. The bombing of a Milanese bank in 1969, which preceded the events outlined in Accidental Death of an Anarchist, was one of an estimated 150 attacks in Italy in that year alone. On a Friday afternoon on the twelfth of December, 1969, a bomb exploded in a busy bank in Piazza Fontana at the centre of Milan. Sixteen people were killed, and around ninety injured. It was one of several explosions in Italy that day, including three explosions in Rome, which fortunately caused no deaths, and another in Milan which failed to detonate. Suspiciously, the police later detonated this device rather than have it diffused by experts, meaning potentially important pieces of evidence were destroyed. The impact of the Piazza Fontana terror attack on Italian consciousness was swift and lasting. Italian journalist Giampiero Mughini later wrote, “… the fact is that in December 1969 an order, a moral order above all, was sundered”. This upending of ethical and institutional order, the image of a world upside-down, is a crucial theme of Anarchist. In the days and years that followed, the pursuit of truth became an increasingly convoluted and treacherous path, facts often impossible to extricate from the network of lies created by police, politicians, judges and journalists. With suspicious speed police and magistrates announced that left-wing anarchist circles were responsible. Hundreds of anarchists were corralled, one of the first being Giuseppe Pinelli, who was arrested before sundown on the day of the bombing. Pinelli was subjected to 72 hours of interrogation at a police station in Milan under the direction of Inspector Luigi Calabresi before ‘falling’ to his death from the station’s fourth-storey window just before midnight. The circumstances of this ‘fall’ – whether he committed suicide, was pushed, fell accidentally or was already dead before hitting the ground – will forever be disputed. Staging Anarchist at this time was a brave, and intensely political move. Fo zealously collected available material, using information passed on from journalists aligned with his cause and directly quoting some of the most ridiculous lines from both official inquiries. This is a series of extracts from a longer essay published in the program for Accidental Death of an Anarchist, available at the theatre for $12. With interviews, rehearsal photos, cast biographies, a powerful director's note from Sarah Giles and much more, the program is a magnificent way to extend your night at the theatre and deepen your appreciation of the production.